Yemen has said it is not getting enough support from the West to tackle al-Qaeda, as details emerge of the suspected US jet bomber's time there. 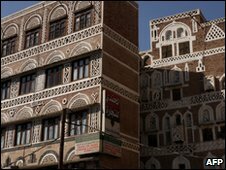 Foreign Minister Abu Bakr al-Qirbi told the BBC that Yemen had the will and ability to deal with al-Qaeda, but was undermined by a lack of support. He estimated that several hundred al-Qaeda members were operating in Yemen and could be planning more attacks. A Yemen-based branch of the network has claimed it planned the failed attack. Yemeni officials said Umar Farouk Abdulmutallab, 23, the Nigerian man accused of trying to blow up the Detroit-bound jet on Christmas Day, was living in Yemen from August until the beginning of December, the official Saba news agency reported. US officials are said to be concerned there may be more al-Qaeda-trained young men in the country planning to bring down US planes. In recent weeks, Yemen has launched several major operations against al-Qaeda with US backing, amid fears the troubled country is becoming a major training centre for militants. In an interview for BBC Radio 4's World at One programme, Mr al-Qirbi said the conflict with al-Qaeda was a priority for his government despite wars with Shia rebels in the north and with separatists in the south. Yemen was getting some support in this conflict but it was inadequate, he added. "We need more training. We have to expand our counter terrorism units and this means providing them with the necessary training, military equipment, ways of transportation - we are very short of helicopters. "The United States can do a lot, Britain can do a lot, the European Union can do a lot in that regard," he said. He said he thought that 200-300 al-Qaeda members were operating in Yemen, but that this was just a rough guess. "Of course there are a number in Yemen and they may actually plan for attacks as in Detroit," he said. But Mr al-Qirbi said warnings about the situation made by US officials like Gen David Petraeus, head of Central Command, were overstated and "exaggerated in some media". Mr Abdulmutallab has been charged with attempting to blow up the Northwest Airlines Airbus A330 from Amsterdam, which had nearly 300 people on board, as it made its final descent into Detroit on Friday. The 23-year-old, who is being held at a federal prison in the US state of Michigan, was restrained by passengers and crew while allegedly trying to detonate a high-explosive device sewn inside his underwear. He has reportedly told FBI investigators that al-Qaeda operatives in Yemen had supplied him with the bomb and that there were others like him who would strike soon. His family says it lost contact with him in October. 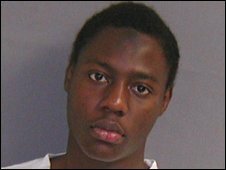 On Monday a web posting by al-Qaeda in the Arabian Peninsula, including a photograph purportedly of Mr Abdulmutallab in front of its banner, said the attack had been a response to US attacks against its operatives. On Tuesday, an official at the Yemeni foreign ministry said that the Migration and Passport Authority had confirmed that Mr Abdulmutallab arrived in Yemen at the beginning of August to study at the Sanaa Institute for the Arabic Language (SIAL) and left for Ethiopia four months later. ABC News earlier reported that among the group who planned the alleged attack were two men who were released by the US from its Guantanamo Bay detention centre in November 2007. Mohammed Atiq al-Harbi, also known as Mohammed al-Awfi, and Said Ali al-Shihri were sent home to Saudi Arabia, where they were admitted to an "art therapy rehabilitation program" and later set free, US and Saudi officials said. Both men appeared in a video in January along with the man described as the leader of al-Qaeda in the Arabian Peninsula, Nasser Abdul Karim al-Wuhayshi. How are air travellers screened? Is Obama 'overreacting' to Al Qaeda?